It is easy to revamp an existing product, or push out an upgraded jacket, but thankfully this Spring, we will see a brand new approach to motorcycle jackets from Klim with the Klim Revener Jacket. The Revener is a stark change from the technical adventure jackets typically seen from Klim. 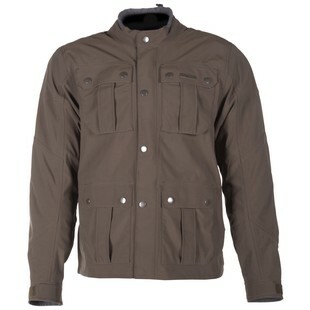 The casual four pocket design is a timeless approach, yet Klim does not sacrifice on the technicality of the jacket. The outer layer features a Gore-Tex waterproof membrane, and a full assortment of D3O at the shoulders, elbows, and back means Belstaff and REV'IT! have some stark competition. Oh and don't forget about the pockets, 6 external and 5 internal means you will never be ill prepared for anything that comes up. With the new Revener, Klim has something that appeals to everyone and it raises the bar for casual yet technical jackets that follow.